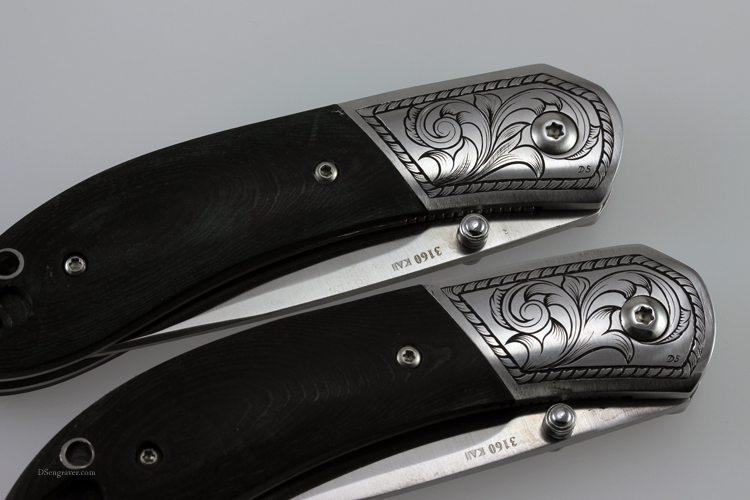 Hand Engraved Kershaw Pocket Knives. A very thoughtful father in Texas asked if I would hand engrave two pocket knives he purchased for his sons. 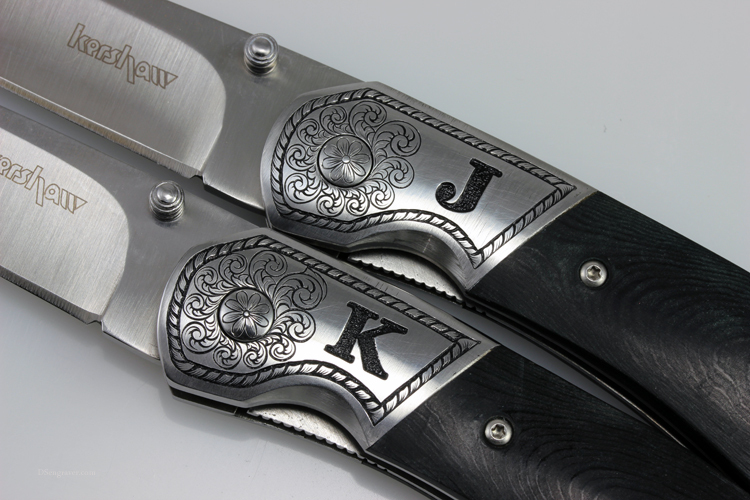 He asked to have his son’s initials engraved into each knife along with some scroll and floral design. I tried to work the large screw head into the design on both sides rather than simply work around it. I cut the intials in deep relief fashion so they would stand out. These are nice little Kershaw knives and although they are not an expensive knife, I would bet that the two boys will think they are worth a million bucks and always treasure this gift from their father. 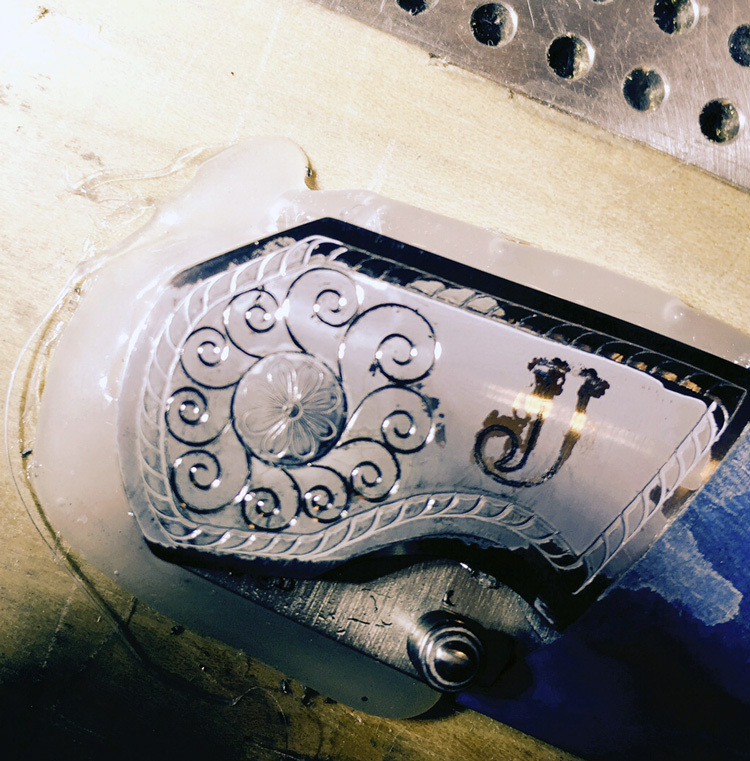 Below is a picture of the hand engraving in progress. The white coating is used to draw and transfer the design. It is all kinda messy until it is done!